Books like The Clockwork Dynasty beg to be adapted into unrelenting action/adventure movies. This is not a complaint. 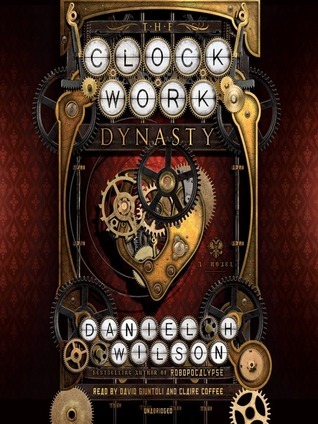 Summer blockbusters of old form the etymology of author Daniel H. Wilson’s steampunk fantasy about a race of dying, centuries-old clockwork machines that pass as human and the woman who will save them. There’s a bit of Terminator, Raiders of the Lost Ark, Interview with a Vampire and a hint of Return of the Jedi in a novel structured to alternate between past and present in a way that would make the creators of “Lost” proud. These derivations would be distracting in lesser hands, but Wilson has proven himself an emerging master of high-concept science fiction with his bestseller Robopocalypse and Guardian Angels and Other Monsters, his collection of excellent short stories. 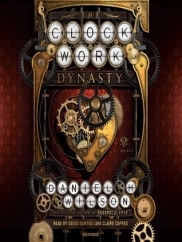 The Clockwork Dynasty revolves around a “chosen one” narrative, but there are actually two chosen ones. The present day is narrated by June Stefanov, a young woman who has inherited a strange artifact and story from her grandfather, a man who fought for Russia in the battle of Stalingrad in World War II and saw what he could only describe as an avenging angel on the day he should have died. After massacring some Germans and a few Russians, the angel dropped an artifact, a dense, crescent-shaped slice of metal the size of a seashell. Wounded and expecting to die, the grandfather retrieves the artifact after the angel has departed. Years later, the old man passes it on to June. Like Indiana Jones, June becomes an academic/adventurer. Anthropology is her field, but she spends her time outside of the university system to hunt unusual artifacts around the world thanks to a generous research grant from a shadowy corporation. The focus of her ceaseless curiosity is ancient, gear-powered machines from antiquity that are designed to mimic humans. Her studies have led her to machines from ancient Greece that could performs tasks like playing simple songs on the flute. The novel begins in Oregon, where an old religious order has hired her to examine a mechanical doll in their possession. The doll was created to write out a message from Peter the Great to the Pope. June gets the doll to work and it reveals a dangerous secret: the word Automat. The Automats are a secret society of clockwork robots that have existed for millennia often by destroying humans who learn of their existence. A centuries-old war continues between factions of the machines, and June carries around her neck the means to end the stalemate in that war: her grandfather’s artifact. After the event with the doll, an Automat comes for June, but she is rescued by the second chosen one, the Automat called Peter who narrates the past. Peter’s story begins in Russia during the reign of Peter the Great, who wanted the machine to replace him upon his death and become the eternal czar. Lady Catherine had other plans, and Peter and his sister, a childlike Automat named Elena, are sent into exile. Peter devotes himself to protecting his sister as their journey takes them across Europe and into London. Neither machine possesses a memory before they woke in possession of the great czar, so Peter becomes leery of evidence of other Automat. His attempts to isolate his sister from seeking answers to their origin prove fruitless. The war between Automats and the truth of Peter’s role in it cannot be abated. There’s quite a bit of subversion of form going on here. 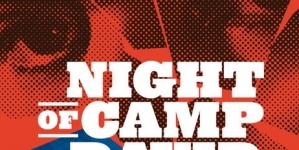 Wilson builds an epic in three-page intervals, propelling his dual stories across the globe during separate epochs. 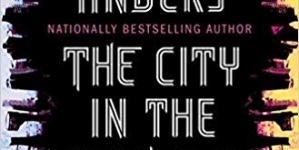 Between past and present, the author takes us through both steampunk and urban fantasy landscapes at a breakneck pace, making a novel as binge-worthy as any Netflix offering. Through the Automats, he creates a fascinating society of super-beings that never really know exactly what they are. They are all powered by artifacts like the one June carries, and breakdowns often cause the kind of amnesia Peter and Elena suffered. The Automats are an arrogant society, so invested in their superiority that it is destroying them. Their numbers have dwindled and only Peter has the courage to defy edict and turn to a human for help. 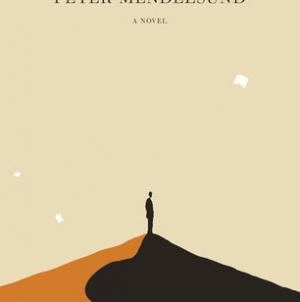 But there is past-Peter and present-Peter, and Wilson takes great joy in the slow reveal of the machine’s many flaws that make his protagonist not exactly what it seems to be. 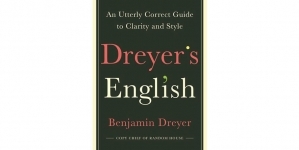 But subversion only goes so far, and the book reflects its subject matter in the end: a sparse, yet propulsive and finely-tuned mechanism that ultimately meets expectations.